People who have owned horses for any length of time soon become aware of just how expensive veterinary care can be. First there are the costs of maintaining the health of your horse through vaccinations that will protect him from disease and worming treatments that will prevent the infestation of internal parasites. An overload of worms can cause a serious case of colic which can quickly kill a horse if the problem is not promptly corrected. Regular hoof care is also a requirement since hoof problems can lead to lameness issues, and everyone knows a lame horse is of no use except as a pasture pet. Since you already have a substantial financial investment with the purchase of your equine, you would be wise to make sure he is insured to cover expensive medical treatments that may be needed. There is a multitude of things that can happen to a large and powerful animal. No matter if your horse should require unexpected surgery or extended veterinary care to cover treatment for injury, illness or disease, it is wise to investigate health insurance for horses. Owning a horse can be one of the most rewarding experiences of your lifetime. It really does not matter if you only want to enjoy riding the trails with your friends or choose to compete in equine events. You may choose the option to board your horse or have the ability to keep him at your home. 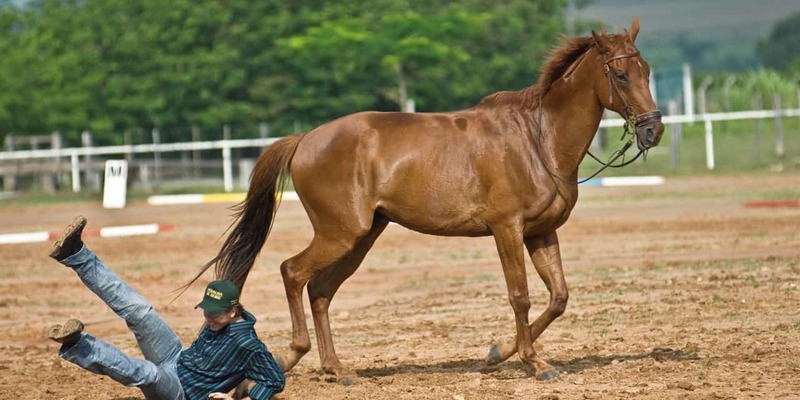 In either case, owning a horse carries a considerable responsibility and the animal is always at risk for injury or illness. Most people carry insurance on their automobiles and homes, so it only makes sense that you would also choose to purchase health insurance for horses. If you happen to be in the business of training or boarding horses for other people, you should also carry liability insurance. This type of insurance will protect you from lawsuits in the event of accidental injury or death of the equines in your care.